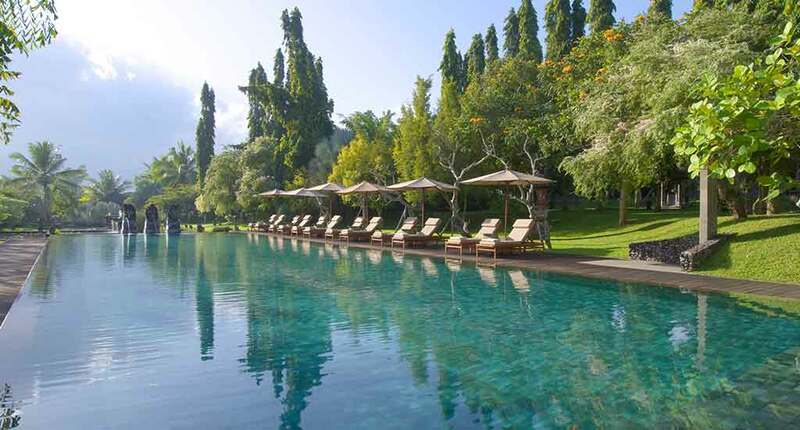 One of the best places to stay overnight in the south part of Bali is The Chedi Club Tanah Gajah Resort. 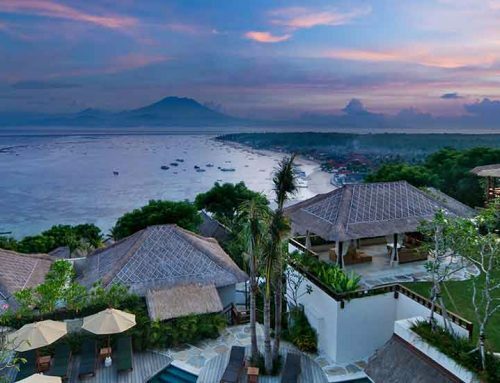 It is located 40 km far away from the International Airport Ngurah Rai in the area of Ubud. 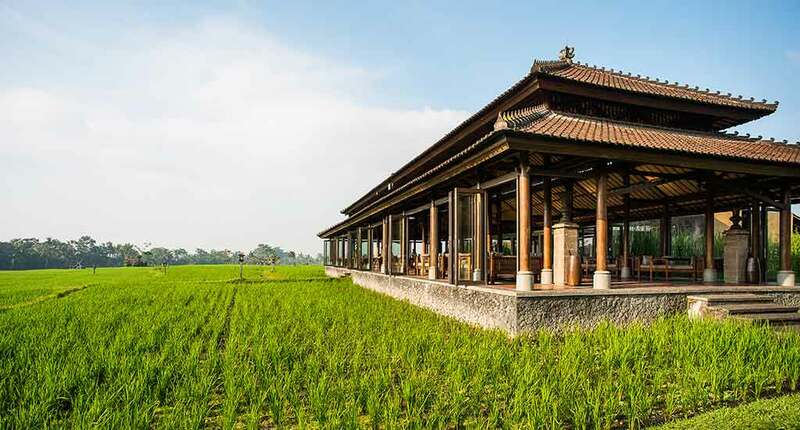 It’s a hidden location surrounded by rice fields as far as you can see. 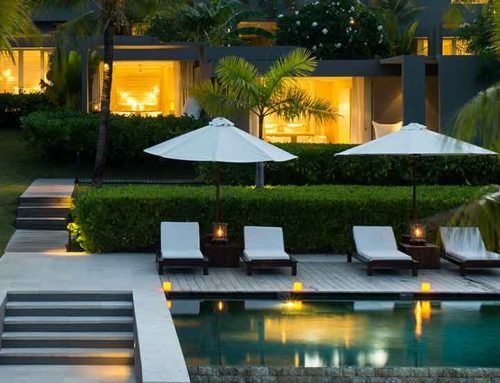 The 5-star resort includes a restaurant, pool bar, spa and wellness center, pool area, and even has its own wedding service to organize your unforgettable day. 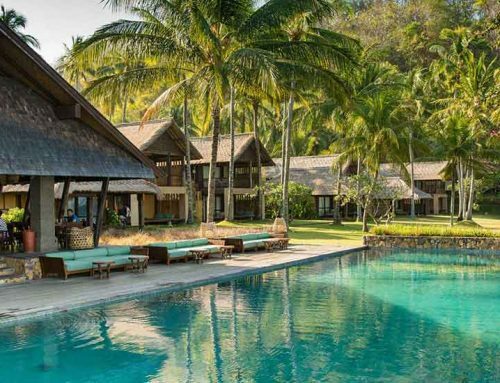 Thеrе аrе twenty villas and suites available as followed: one bedroom suite, one bedroom pool villa, family villa, and the Hadiprana villa. 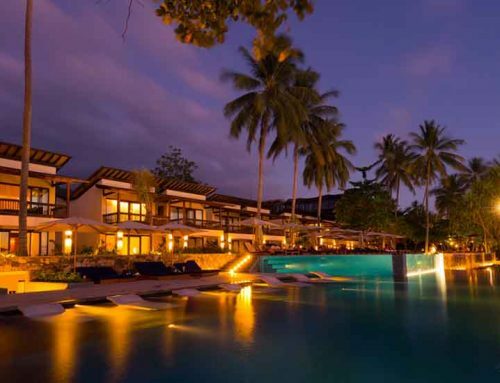 Moreover you can even rent the whole resort for your private events. All rooms provide complimentary broadband internet, flat screen TV, and daily newspaper. Culinary aspects of the club are the coffee making facilities, minibar, daily a la carte breakfast, seasonal fresh fruits delivered to your villa or suite, afternoon tea from 4:00 pm to 6:00 pm, and sunset cocktails from 6:00 pm to 7:00 pm. 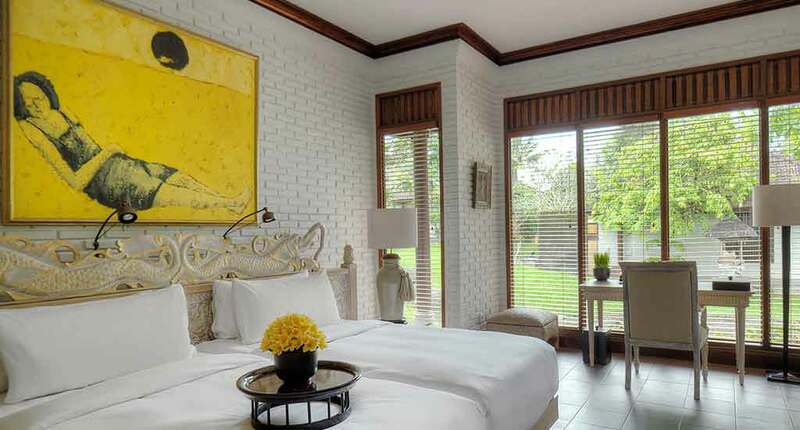 Also included is a daily laundry service up to six pieces per person, shuttle service to/from Ubud Centre with a private car, yoga classes, and access to the spa and health club. The surroundings are extraordinary, starting with Elephant Cave, used as a shelter in the 9th century. Outside the cave, you can admire the sculptures in stones in various forms of demons and strange creatures. There is also Ubud Monkey Forest, which represents a local symbol and a correct way to conserve the heritage of village area. Another good tourist spot is Agung Rai Museum of Art, that consists of a rich collection of paintings, bronze sculptures and a spectacular architecture. Are you a shopaholic? Well, Ubud is a great place to abound in street shops and antique boutiques. Or, if you’re in love with art, the city offers you some amazing galleries. 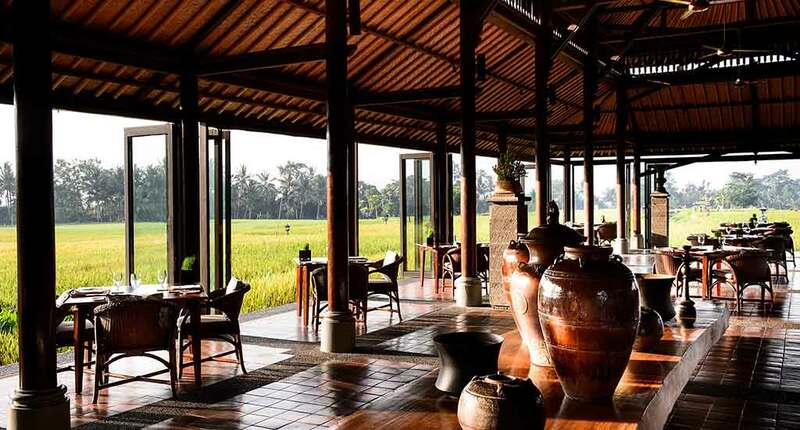 The Chedi Club Tanah Gajah experience is a very exclusive and private one and based on an authentic Balinese lifestyle. 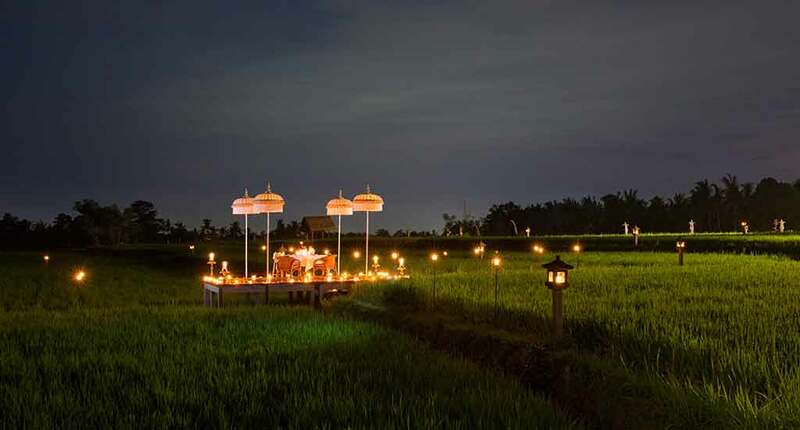 Of course, the rice fields all around let you never forget that you are in Bali. It’s a great travel destination for couples, friends, and families who are less looking for beach holidays rather than cultural sightseeing and wellness. Address: Tengkulak Kaja, Jl. 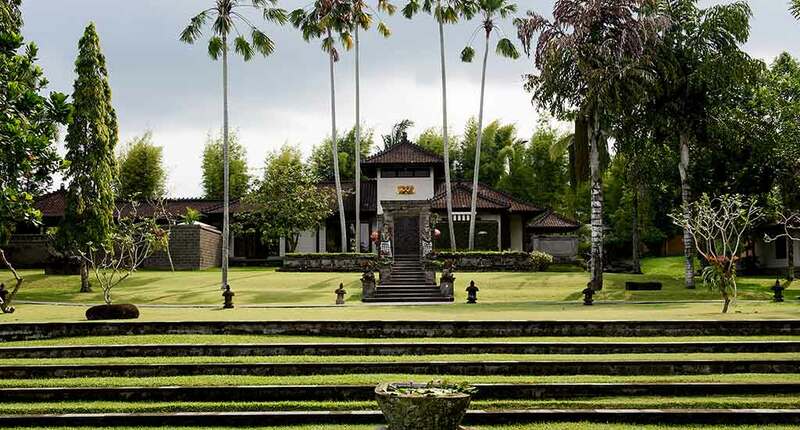 Raya Goa Gajah, Kemenuh, Ubud, Gianyar, Bali 80571, Indonesia.